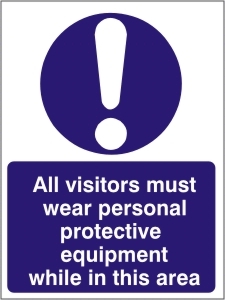 All visitors must wear PPE while in this area - Health and Safety Sign.All signs are available in a self adhesive vinyl or a 1mm Rigid Plastic. Ear protection must be worn - Health and Safety Sign. All signs are available in a self adhesive vinyl or a 1mm Rigid Plastic. 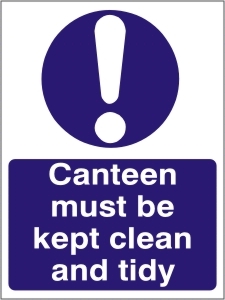 Canteen must be kept clean and tidy - Health and Safety Sign.All signs are available in a self adhesive vinyl or a 1mm Rigid Plastic. Ear protection must be worn in this area - Health and Safety Sign. All signs are available in a self adhesive vinyl or a 1mm Rigid Plastic. 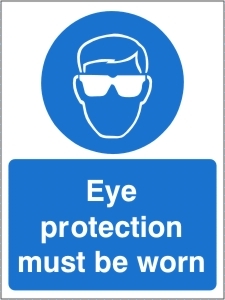 Eye protection must be worn - Health and Safety Sign. All signs are available in a self adhesive vinyl or a 1mm Rigid Plastic. Eye protection must be worn in this area - Health and Safety Sign. All signs are available in a self adhesive vinyl or a 1mm Rigid Plastic. 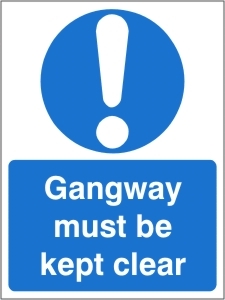 Gangway must be kept clear - Health and Safety Sign. All signs are available in a self adhesive vinyl or a 1mm Rigid Plastic. 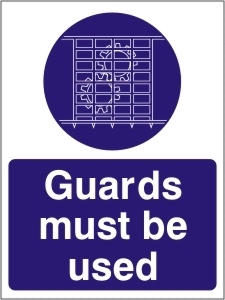 Guards must be used - Health and Safety Sign. All signs are available in a self adhesive vinyl or a 1mm Rigid Plastic. 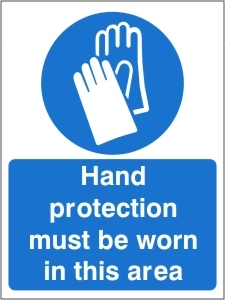 Hand protection must be worn in this area - Health and Safety Sign. All signs are available in a self adhesive vinyl or a 1mm Rigid Plastic. 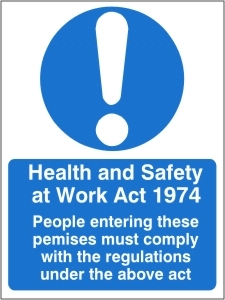 Health and Safety at Work Act 1974 - Health and Safety Sign. All signs are available in a self adhesive vinyl or a 1mm Rigid Plastic. All Visitors and Driver Must Report to Reception - Health and Safety Sign. All signs are available in a self adhesive vinyl or a 1mm Rigid Plastic. 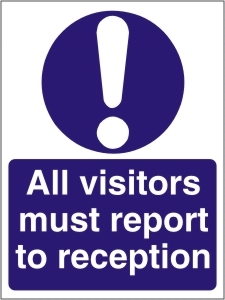 All Visitors Must Report to Reception - Health and Safety Sign. All signs are available in a self adhesive vinyl or a 1mm Rigid Plastic. 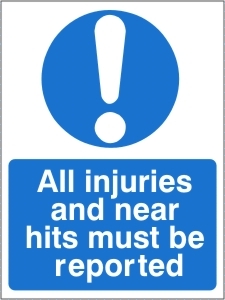 All injuries and near hits must be reported - Health and Safety Sign. All signs are available in a self adhesive vinyl or a 1mm Rigid Plastic. 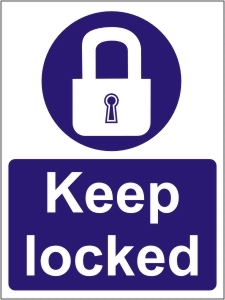 Keep locked - Health and Safety Sign. All signs are available in a self adhesive vinyl or a 1mm Rigid Plastic. 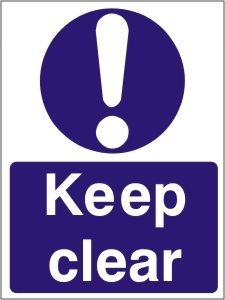 Keep clear - Health and Safety Sign. All signs are available in a self adhesive vinyl or a 1mm Rigid Plastic. 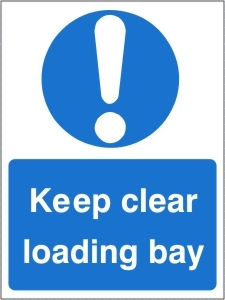 Keep clear loading bay - Health and Safety Sign. All signs are available in a self adhesive vinyl or a 1mm Rigid Plastic. 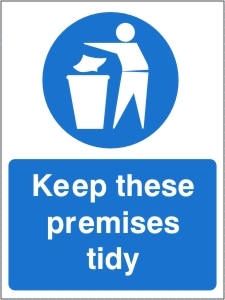 Keep these premises tidy - Health and Safety Sign. All signs are available in a self adhesive vinyl or a 1mm Rigid Plastic. Keep out - Health and Safety Sign. All signs are available in a self adhesive vinyl or a 1mm Rigid Plastic. 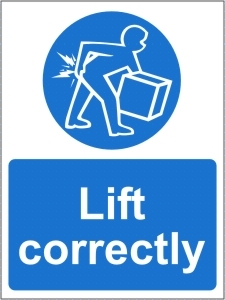 Lift correctly - Health and Safety Sign. All signs are available in a self adhesive vinyl or a 1mm Rigid Plastic. 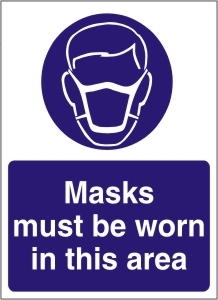 Masks must be worn in this area - Health and Safety Sign. All signs are available in a self adhesive vinyl or a 1mm Rigid Plastic. 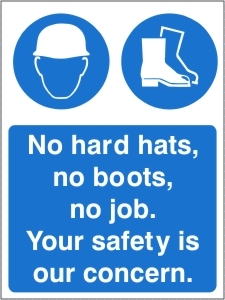 No Hard Hats, No Boots, No Job - Health and Safety Sign. All signs are available in a self adhesive vinyl or a 1mm Rigid Plastic. No Hard Hats, No Boots, No Job. Your Safety is our concern. Health and Safety Sign. All signs are available in a self adhesive vinyl or a 1mm Rigid Plastic. 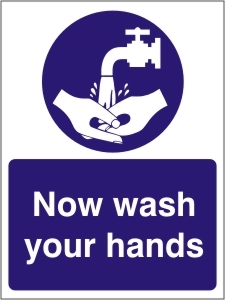 Now wash your hands - Health and Safety Sign. All signs are available in a self adhesive vinyl or a 1mm Rigid Plastic. Pedestrians must use this route - Health and Safety Sign. All signs are available in a self adhesive vinyl or a 1mm Rigid Plastic. 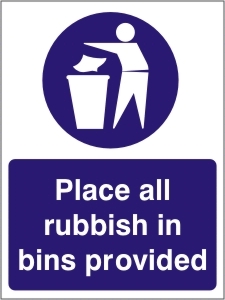 Place all rubbish in bins provided - Health and Safety Sign. All signs are available in a self adhesive vinyl or a 1mm Rigid Plastic. 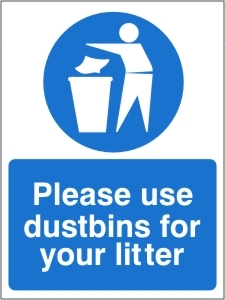 Please use dustbins for your litter - Health and Safety Sign. All signs are available in a self adhesive vinyl or a 1mm Rigid Plastic. 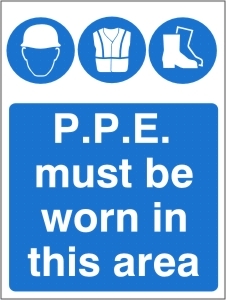 PPE must be worn in this area - Health and Safety Sign. All signs are available in a self adhesive vinyl or a 1mm Rigid Plastic. 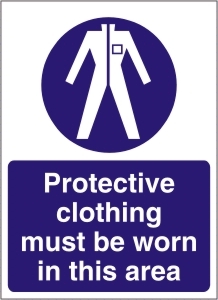 Protective clothing must be worn in this Area - Health and Safety Sign. All signs are available in a self adhesive vinyl or a 1mm Rigid Plastic. 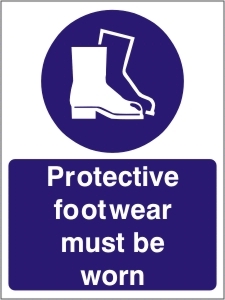 Protective footwear must be worn - Health and Safety Sign. All signs are available in a self adhesive vinyl or a 1mm Rigid Plastic. Protective footwear must be worn in this area - Health and Safety Sign. All signs are available in a self adhesive vinyl or a 1mm Rigid Plastic. 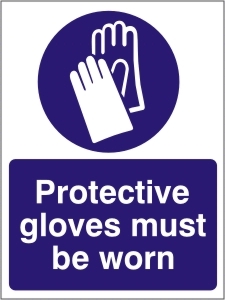 Protective gloves must be worn - Health and Safety Sign. All signs are available in a self adhesive vinyl or a 1mm Rigid Plastic. 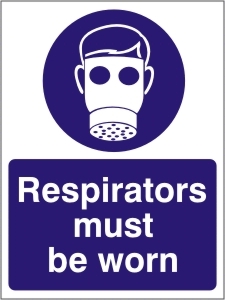 Respirators must be worn - Health and Safety Sign. All signs are available in a self adhesive vinyl or a 1mm Rigid Plastic. 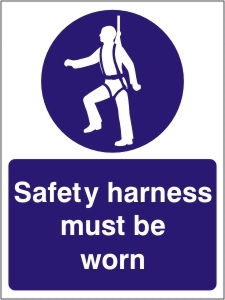 Safety harness must be worn - Health and Safety Sign. All signs are available in a self adhesive vinyl or a 1mm Rigid Plastic. 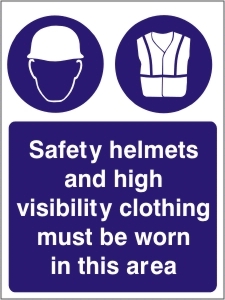 Safety helmets and high visibility clothing must be worn in this area - Health and Safety Sign. All signs are available in a self adhesive vinyl or a 1mm Rigid Plastic. 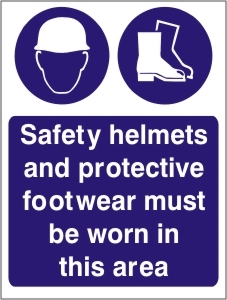 Safety helmets and protective footwear must be worn - Health and Safety Sign. All signs are available in a self adhesive vinyl or a 1mm Rigid Plastic. 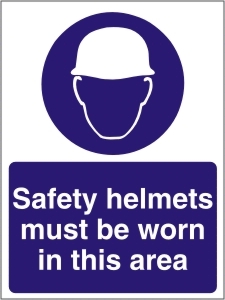 Safety helmets must be worn in this area - Health and Safety Sign. All signs are available in a self adhesive vinyl or a 1mm Rigid Plastic. 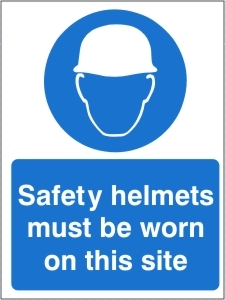 Safety helmets must be worn on this site - Health and Safety Sign. All signs are available in a self adhesive vinyl or a 1mm Rigid Plastic. Safety Starts Here - Health and Safety Sign. All signs are available in a self adhesive vinyl or a 1mm Rigid Plastic. 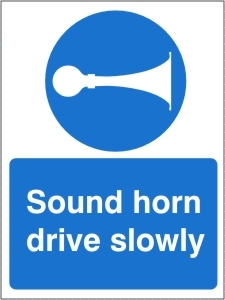 Sound horn drive slowly - Health and Safety Sign. All signs are available in a self adhesive vinyl or a 1mm Rigid Plastic. 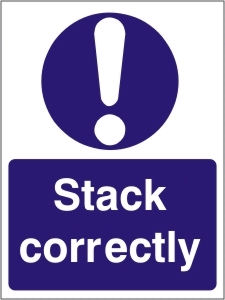 Stack correctly - Health and Safety Sign. All signs are available in a self adhesive vinyl or a 1mm Rigid Plastic. 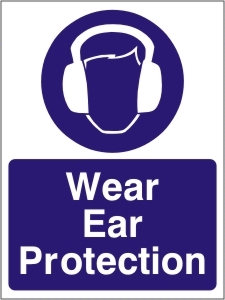 Wear Ear Protection - Health and Safety Sign. All signs are available in a self adhesive vinyl or a 1mm Rigid Plastic. Wear ear protectors when operating this machine - Health and Safety Sign. All signs are available in a self adhesive vinyl or a 1mm Rigid Plastic. 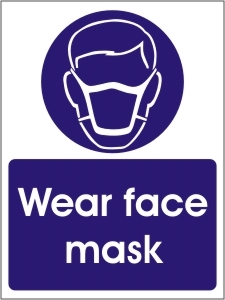 Wear face mask - Health and Safety Sign. All signs are available in a self adhesive vinyl or a 1mm Rigid Plastic. 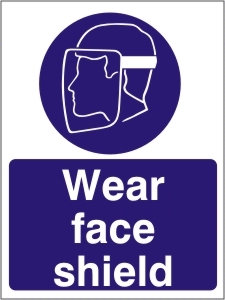 Wear face shield - Health and Safety Sign.All signs are available in a self adhesive vinyl or a 1mm Rigid Plastic. 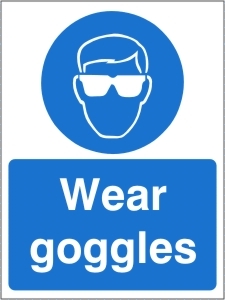 Wear goggles - Health and Safety Sign. All signs are available in a self adhesive vinyl or a 1mm Rigid Plastic. 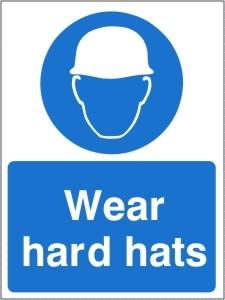 Wear hard hats - Health and Safety Sign. All signs are available in a self adhesive vinyl or a 1mm Rigid Plastic. 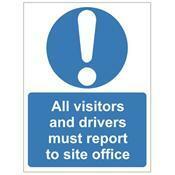 All Visitors and Driver Must Report to Site Office - Health and Safety Sign. All signs are available in a self adhesive vinyl or a 1mm Rigid Plastic. 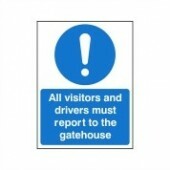 All Visitors And Drivers Must Report To The Gatehouse - Health and Safety Sign (MAC.61). Ultra-Durable signs for Super-Low Prices! Only £3.47! 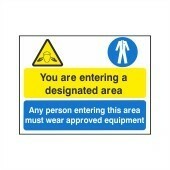 Caution Labels - Pack of 24 - Health and Safety Sign (MAN.126). Pack of 24 (4x6) superior quality stickers for great discounted prices! Clean Machine After Use - Health and Safety Sign (MAG.25). A bargain at just £1.75! Cheap yet superior quality signs from Safety Services Direct! Clean Up Spillages - Health and Safety Sign (MAG.24). Cheap, yet top quality sign for only £1.75! 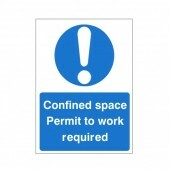 Confined Space Permit To Work Required - Health and Safety Sign (MAC.53). A tiny £1.75! Kit out your whole business with all the required signs for as little as possible with Safety Services Direct! 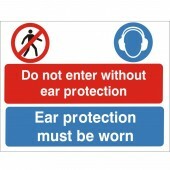 Do Not Enter Without Ear Protection - Health and Safety Sign (MUL.45). 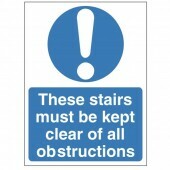 Great value for money health and safety sign at just £3.47! Ear Protection Must Be Worn - Health and Safety Sign (MAP.38).For as little as £2.25, Kit your business with the signs you require for as little as possible with Safety Services Direct! Ear Protection Must Be Worn - Pack Of 24 - Health and Safety Sign (MAN.125) - This pack contains 24 individual stickers (4 sheets with 6 stickers on each sheet) for an incredible £13.36! 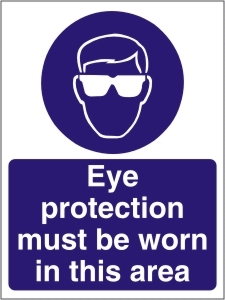 Eye Protection Must Be Worn - Health and Safety Sign (MAP.41) - Top quality sign for only £2.25! 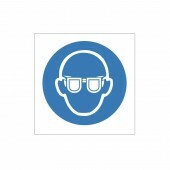 Eye Protection Must Be Worn - Pack of 24 - Health and Safety Sign (MAN.127) - Pack of 24 (4x6) - Long lasting, clear signs from Safety Services Direct! 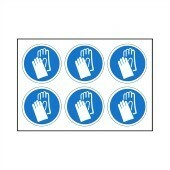 Hand Protection Must Be Worn- Pack of 24 - Health and Safety Sign (MAN.121). 4x6 individual signs. Abiding by Health and Safety doesn't have to be costly - with Safety Services Direct! Keep Gates Closed - Health and Safety Sign (MAC.52). Amazing quality signs for minuscule prices from AWARD WINNING business Safety Services Direct! Lab Coats Must Be Worn - Health and Safety Sign (MAP.35). £1.75! Clear and concise signs for Ultra-Low prices! 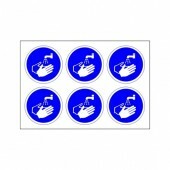 Must Wash Hands - Pack of 24 - Health and Safety Sign (MAN.122) - 24 individual stickers (4 sheets with 6 stickers on each sheet). Top Quality and Highly Durable! Pedestrian Crossing Point - Health and Safety Sign (MAC.23). Seriously Low Prices, Just £6.39, from Safety Services Direct! 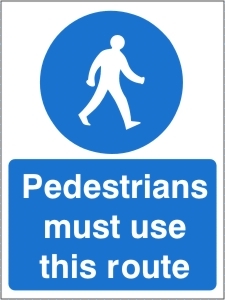 Pedestrian Route - Health and Safety Sign. All signs are available in a self adhesive vinyl or a 1mm Rigid Plastic. 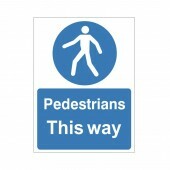 Pedestrians This Way - Health and Safety Sign (MAC.10). Only £6.39! 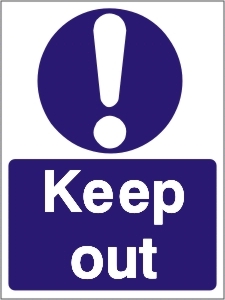 We offer durable and easy to read signs for any workplace! Pedestrians This Way (Left Arrow) - Health and Safety Sign (MAC.11) - Amazing savings on signs when you shops with Safety Services Direct! 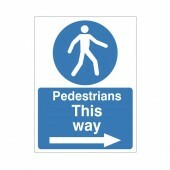 Pedestrians This Way (Right Arrow) - Health and Safety Sign (MAC.12). Superior Quality signs for minimal prices! This sign is only £6.39! 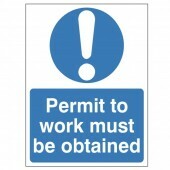 Permit To Work Must Be Obtained - Health and Safety Sign (MAC.08), from just £1.95! 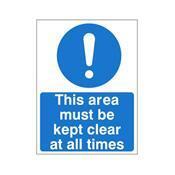 Long lasting durability and clear signs from Safety Services Direct! 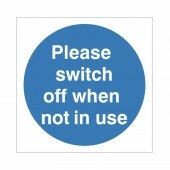 Please Switch Off When Not In Use - Health and Safety Sign (MAD.14). Highly durable and great quality sign for only 90p! From Safety Services Direct! Please Use Handrail - Health and Safety Sign (MAG.23). At only £1.75, order your top quality sign NOW! 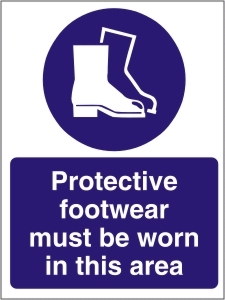 Protective Footwear Must Be Worn - Health and Safety Sign (MAP.45) - We offer long lasting and clear signs for budget prices! 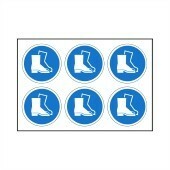 Protective Footwear Must Be Worn - Pack of 24 - Health and Safety Sign (MAN.123). Contains 24 individual stickers (4 sheets x 6 Stickers). Top quality signs from Safety Services Direct! Protective Gloves Must Be Worn - (MAP.37). Only £2.25! Durable health and safety signs from Safety Services Direct! Remove Keys From Fork Lift Truck When Not In Use - Health and Safety Sign (MAG.22). Only £1.75! 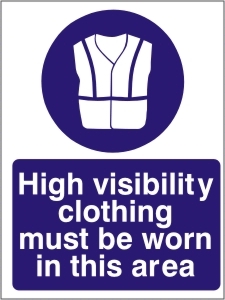 Top quality, clear and crisp signs from Safety Services Direct! Safety Helmets Must Be Worn - Pack of 24 - Health and Safety Sign (MAN.124). Contains 24 individual stickers (4 sheets x 6 Stickers). High quality signs from Safety Services Direct! 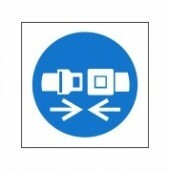 Seat Belts Must Be Worn - Health and Safety Sign (MAC.20). We offer superior quality signs for ultra-low prices! This sign: Just £1.75! 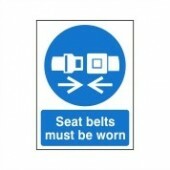 Seat Belts Must Be Worn - Single Sided - Health and Safety Sign (MAG.21). Top Quality signs from Safety Services Direct! Just 90p! 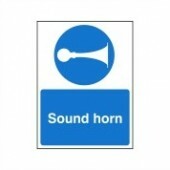 Sound Horn - Health and Safety Sign (MAG.03). Great prices for all your sign needs with Safety Services Direct! These Stairs Must Be Kept Clear Of All Obstructions - Health and Safety Sign (MAA.03). Just £1.95! Unbelievably cheap prices for top quality signs from Safety Services Direct! This area must be kept clear at all times - Health and Safety Sign. All signs are available in a self adhesive vinyl or a 1mm Rigid Plastic. 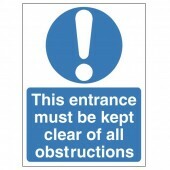 This Entrance Must Be Kept Clear Of All Obstructions - Health and Safety Sign (MAA.04). 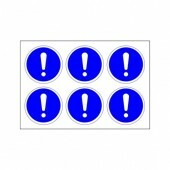 Class Leading signs from just £1.95! Order your TODAY from Safety Services Direct! Warning Pedestrians Crossing - Health and Safety Sign (WAC.26). One of the most comprehensive ranges of Health and Safety Signs online! 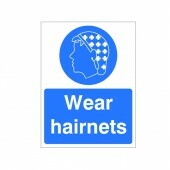 Wear Hairnets - Health and Safety Sign (MAP.36). Great quality, Clear signs for just £1.75! 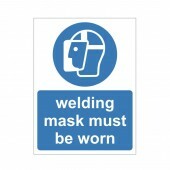 Welding Mask Must Be Worn - Health and Safety Sign (MAP.50). We offer a comprehensive range of signs for businesses on a budget! Just £1.75! You Must Report All Incidents Immediately - Health and Safety Sign (MAG.01). From Just £1.75! Safety Services Direct, For all your sign needs! 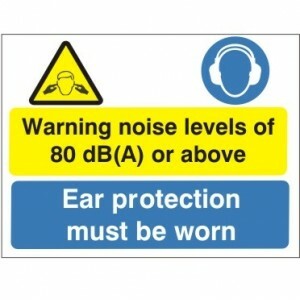 Warning Noise Levels Of 80dB (A) Or Above - Health and Safety Sign (MAP.43) - A fractional £3.47 for this clear and concise sign! Warning Risk Of High Level Noise - Health and Safety Sign (MUL.46). 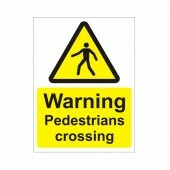 For all your health and Safety sign needs order TODAY with Safety Services Direct! You Are Entering A Designated Area - Health and Safety Sign (MUL.44). Truly durable, budget priced signs from Safety Services Direct! 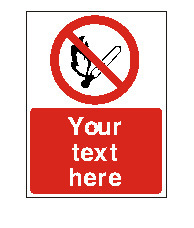 Our best selling and most popular Mandatory Health and Safety Signs are shown below, we can supply all of your health and safety signage requirements, so please contact us if you have a specific health and safety sign requirement.